Seventh-Graders Remember Their Favorite Books of the School Year! Here is my 2nd installment of, “Why I Will Remember This Book.” Today I’m featuring what seventh-graders chose as their most remembered book of this past school year. As with my previous post I’ve added some of the student’s thoughts on the book and why it made an influence on them. While I was compiling the list I quickly saw newer titles but many timeless classics were included. Pass these titles onto a young person in your life! Thank you to Mr. Giertz our 7th grade Language/Literature teacher and to all of the 7th graders who shared their thoughts about the books they chose! Band of Brothers, by Stephen Ambrose – submitted by – Chris T.
Beauty, by Robin McKinley – submitted by Paige F.
Before I Die, by Jenny Downham – submitted by – Kassidy T.
Diary of a Wimpy Kid: Book 1, by Jeff Kinney – submitted by – Kyle C.: “The reason why I will remember this book is because it is the funniest book I’ve ever read and it is really interesting!” Also submitted by – Thomas C.
Diary of Wimpy Kid: The Last Straw, by Jeff Kinney – submitted by – Joe M.
Diary of a Wimpy Kid: Roderick Rules, by Jeff Kinney – submitted by – Grant H.
Dogsong, by Gary Paulsen – submitted by – Collin A. The Giver, by Lois Lowry – submitted by – Tyler O.
Hatchet, by Gary Paulsen – submitted by – Dayton C.
Heartbeat, by Sharon Creech – submitted by – Savannah G.
Holes, by Louis Sacher – submitted by – Kendal C. and Nate A.
I’d Tell You I Love You, But Then I’d Have to Kill You, by Ally Carter – submitted by – Alyssa N.
If I Stay, by Gayle Forman – submitted by – Shailee B.
Julie’s Wolf Pack, by Jean Craighead George – submitted by – Morgan A.
Magyk (Septimus Heap, Book 1), by Angie Sage and Mark Zug – submitted by – Reilly s.
Marley and Me, by John Grogan – submitted by – Jessica S.
Nothing But the Truth, by Avi – submitted by – Jonny W.
On the Devil’s Court, by Carl Deuker – submitted by – Jimmy K.
The Outsiders, by S.E. Hinton – submitted by – Estefany G., Avery S., Kyle C., and Aaron P.
The Thing About Georgie, by Lisa Graff – submitted by – Clara R.
Tuck Everlasting, by Natalie Babbitt – submitted by Nick C.
The Wrath of Mulgrath (The Spiderwick Chronicles, Book 5), by Holly Black and Tony DiTerlizzi – submitted by – Ashley G.
As an end of the year writing prompt, I asked the teachers in grades 4-8 to have their students choose their favorite book they read this past school. 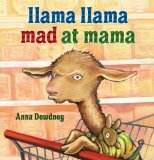 It was my hope to share this with you who have children and are looking for some good books to share with them. Books can make a lasting impression on us. Just as posed the question to many adults for my National Book Week blog, they all came up with a title which impacted their life. Since our 8th graders will be leaving us shortly, I thought I’d share their favorite book read during this past school year first. Throughout my post I’ve shared some of the student responses as to why they liked the book. Thank you to Mr. Novario and his 8th grade students! Good luck in high school and all you strive to accomplish throughout your lives! Al Capone Does My Shirts, by Gennifer Choldenko – submitted by Aaron P.
Anne Frank, The Diary of a Young Girl, by Anne Frank – submitted by – Erik W. and Zach B. Band of Brothers, by Stephen Ambrose – submitted by – Nathan M.
Brian’s Hunt, by Gary Paulsen – submitted by – Nate S.
Chasing Brooklyn, by Lisa Schroeder – submitted by – Leah B. The Compound, by S.A. Bodeen – submitted by – Kyle O.
Dragon Slippers, by Jessica Day George – submitted by – Jason W.
Flush, by Carl Hiaasen – submitted by – Austin A. The Giver, by Lois Lowry – submitted by Dillon J. The Last Olympian (Percy Jackson & the Olympians, Book 5), by Rick Riordan – submitted by – Ben B. and Daniel N.
Lisa’s War, by Carol Matas – submitted by – Robert A. Never Die Easy: The Autobiography of Water Payton, by Walter Payton – submitted by – Bobby M.
Night, by Elie Wiesel – submitted by – Jacob C. & Dean B. Numbers, by Rachel Ward – submitted by – Courtney B. Playing With the Enemy: A Baseball Prodigy, a World at War, and a Field of Broken Dreams, by Gary W. Moore – submitted by – Luke S.
Ranger’s Apprentice: The Siege of Macindaw: Book 6, by John Flanagan – submitted by – Ethan T.
Remembering the Good Times, by Richard Peck – submitted by – Ana M.
Shift, by Jennifer Bradbury – submitted by – T.J.D. Someone Named Eva, by Joan M. Wolf – submitted by – Nick H.
Slam, by Nick Hornby – submitted by – Angel A. That Was Then, This is Now, by S.E. Hinton – submitted by – Sarah R., Alex B., & Tommy L.
Thirteen Reasons Why, by Jay Asher – submitted by Danielle M.
Traegonia: The Sunbow Prophecy, by K.S. Krueger – submitted by – Tia M.
Watch You Bleed: The Saga of Guns and Roses, by Stephen Davis – submitted by – Kyle B. What My Mother Doesn’t Know, by Sonya Sones – submitted by – Rylee A. White Fang, by Jack London – submitted by – Lucas A.: “This book had adventure, action, and lessons learned throughout the entire book. There was never a dull moment in the book.” Also submitted by – Alex C.
World War Z: An Oral History of the Zombie War, by Max Brooks – Submitted by – Tyler W. & Evan F.
I was perusing my extensive record of books I’ve read and contemplating what to share with you today. Numerous titles began to garner my attention. I thought why not share several of my much loved non-fiction books. I’ve learned a great deal from each of these factual titles. We learn so much from history and real life experiences. To this day I still remember a college history professor’s (I took four of his history classes!) remark for past occurrences, “historical events were due to multiple factors of causation.” Whenever I see him I remind him of his ever famous quote! Thanks Mr. Schott for sharing your love of history with all of your students! As I reflected on each of these books I’m featuring today, there were many factors that determined the historical outcomes. Each is particularly unique and exceptional. It’s every parent’s frightening thought – to discover their child has been secretly living another life – taking drugs. It is the true story of the daughter, Mia Fontaine. What is the horrendous secret she hides from through drugs? It’s Mia’s and Claire’s journey – Mia as a runaway gets kidnapped by her own mother and is sent to the Morava Academy – in the Czech Republic. The academy is a place where teens are supervised and reprogrammed to “come back” to their families. I loved how the story was told by both Claire and Mia. My book club chose this and we all agreed it was one of the best memoirs we had ever read. I love when a factual book reads like a fiction book! Winner of the Edgar Award for Best Fact Crime in 2004, Devil in the White City was like that for me. It was coined, “White City” because of the structures which made up the Exposition. There are two alternating historical events and two men involved with each which took place in Chicago circa 1893. One being the evolving plans and preparations for the 1893 Chicago World’s Fair under the direction of Daniel H. Burnham and the other is the notorious serial killer and impersonating a doctor, H. H. Holmes. Larson does an excellent job intertwining their two stories and the impact they made during that time period. I learned a great deal about the city of Chicago during this era, the politicians and the famous people. Holmes was a calculating killer who picked his victims wisely. Holmes built a place called the World’s Fair Hotel for people to stay, preferably young single woman. I devoured this account like I would a suspenseful crime novel! Several years ago I saw a movie based on this true story. When I discovered Evil Summer, I had to read it. The crime took place in Chicago in 1924. Bobby Frank was kidnapped, killed with a blow to his head, and his body was burned with acid. His body was found near the Illinois-Indiana border. Two University of Chicago students, Leopold and Loeb, were tried for kidnapping and murder. It was one of the biggest trials to hit Chicago at that time. This is a wonderful account of the trial and what led two young college men to think they could get away with the perfect crime. I originally heard about this book while listening to WGN Radio – 720 AM – one day on my way home from work. The advantages of a long commute! This is Rodriguez’s first hand account of her experiences in Afghanistan as she tries to help the women in Kabul to establish a beauty school. It is not as easy as you think as you read her account. Her journey through this culture is purely told. It’s the story of her own limitations, errors, and innocence with a culture so very dissimilar from her own. This is another favorite funny memoir of mine! Bill Bryson recounts his boyhood growing up in Des Moines, Iowa during the late 1950’s and into the early 1960’s. I took pleasure in reading his stories of his family, friends, the times, and his funny take on life itself. Growing up as a child during those years and also being from the Midwest, I could genuinely connect to his life story. This is a must read for all baby boomers! This is possibly one of the best books I read a couple of summers ago! I had just finished, Team of Rivals, which I’m also reviewing today. It was the obvious choice to pick up and read. I thought, Manhunt, read like a fictional thriller! Manhunt follows the story of the plan to assassinate President Lincoln, Vice-President Johnson, and Secretary of State Seward – all in the same evening. Lincoln’s death was the conspirators’ only successful killing. The book follows the search for John Wilkes Booth and his co-conspirators through the 12 days following Lincoln’s death. This is truly a superb narrative and very well researched work. Since Manhunt was published, James Swanson has now written an easier version for younger readers entitled, Chasing Lincoln’s Killer. The students have checked it out numerous times throughout the school year. It would make a nice choice for you and your child to share over the summer. This was one of my book clubs selections a few years ago. What if you lived in a country which prevented you from reading?! Unfortunately, that was the case for teacher, Azar Nafisi and many like her. This is the true account of life during the Islamic Republic of Iran. Nafisi secretly gathers even of her most devoted and faithful students. Collectively they read forbidden Western classics. Their own lives are revealed as they read these novels. This was an excellent book club choice because of the discussion it generated. I picked this up because I really took pleasure in reading Larson’s, Devil in the White City! Once again, Larson uses the winning formula he utilized in his previous book. Thunderstruck is a suspenseful book which connects Guglielmo Marconi, the inventor of the wireless telegraph, with Hawley Crippen. Crippen is a doctor in turn-of-the-century London who murders his first wife. Hawley and his lover escape on an ocean liner bound for Quebec. The authorities enlist Marconi and his wireless to capture the runaway fugitives. Definitely a page turning true account and one you will find difficult to put down. My interest in World War II and the Nazi occupation led me to this interesting memoir. This book is on several reading lists for young adults as well as adults. Jan Zabinski is the director of the Warsaw Zoo and along with his wife, Antonina, they create a safe haven for over 300 Jews from the Warsaw Ghetto. This is indeed an astounding story of courage. The tragedies and atrocities Antonina shares continue to illustrate the immoral and wickedness of Hitler’s plan. I wonder what William Shakespeare would think today of the Amazon Kindle ?! The love of words and kindle used in the same sentence by Shakespeare hundreds of years ago. – amazing! The Amazon Kindle has sparked an interest and a new way for book lovers to read. It was my interest in technology and as a librarian, my fondness and devotion for reading, which led me down this path to discover the Kindle! I have heard from many school librarians all over the United States since the article has been published. I’m happy that I’m able to help them to pursue their own Kindle programs. There are many different digital readers but I like using the Kindle and the features it offers. A few features are the ability to change the font size, the text to speech feature, the dictionary feature, and highlighting and note taking features. Will DeLamater, the founder of Edukindle and Edukindle.ning, recently wrote a study entitled, “How Larger Font Size Impacts Reading and the Implications for Educational Use of Digital Text Readers.” I especially like the ability to have an ebook at my finger tips in less than 60 seconds! Please feel free to contact me with any questions you might have! Mother all over the world is pronounced and spelled in many ways, but they all mean the same. There will be countless and various ways each and every one of us will celebrate Mother’s Day. Whether you will be together to honor your mother, or if you’re separated by miles, or remembering her in spirit, it will be your desire to make Mother’s Day special no matter what. I’d like to take a moment to reflect on why my own Mother is so special to me. I am so fortunate to still have my Mother. She is a friend, confidant, sounding board – in her words, “not that I’d interfere”- and a strong role model for me. I must give her credit for suggesting to me to become a librarian. She instilled my love for reading at a very young age. I still remember her reading from many books, but especially when she would get out the Childcraft volume of poetry! I knew there were many poems she would be reading. My favorite was, Antonio, by Laura E. Fields. To this day I can recite it by heart. Thank you Mom for all you have done for me and how you prepared me for life’s bumps in the road. I admire you and reflecting back at my youth, I am in awe of what you accomplished. Thank you and I love you! The quote below brings you to mind! There are many books for all ages which the central theme has to do with mothers. I posed the question, which mother came to mind in fiction and many said, Marmie, from Little Women, by Louisa May Alcott. My husband said Mother Goose and her nursery rhymes is one in particular most children are first introduced to. The following books are ones that readily came to mind to me. I’ve mentioned titles for all ages. You might discover Young Adult books tend to view mothers who have problems and how the teen copes with their mother’s flaw. Many you have probably read but hopefully you’ll discover an incredible new read! Happy Reading & Happy Mother’s Day to all of you! Summer vacation is quickly approaching for school age kids. Many will have local park activities to attend, summer camps, vacations, and various other leisurely interests to pursue. Hopefully another of their summer pastimes will be reading. As a parent myself with three grown daughters, summer was a time to explore new adventures through books. I took them to the public library for summer reading programs, encouraged them to raid our own family library, and to joyfully go to a book store to buy their very own books of choice. Many book stores offer summer programs for students. In particular, yesterday, I received information on Borders’ 2010 Summer Reading Program: “Double- Dog Dare” I’d like to share with you today. At the site there is also a letter from the author of the, Diary of a Wimpy Kid Series, Jeff Kinney. Our April book club selection was Unfinished Desires by Gail Godwin. Our book club unanimously agreed “Patience and Faith” was the essence of Unfinished Desires. All of my book club friends except one were brought up Catholics. We each attended a Catholic grade school. Three of us went to same school! We found it very easy to discuss this book possibly because of our Catholic upbringing. One of the messages found in Unfinished Desires such as prayers and meditation illustrates how God protects us and cares for us. The significance of inner calm to trust the world through prayers and meditation was of great importance. The message of “God’s will” was so well done in the book. “What did you love most? What have you left undone?” This quote was a key idea which we discussed. It was very thought provoking for all of us. We felt each and every one of us could answer it differently. Keep a score card to all of the characters and their stories! Mother Suzanne Ravenel recounts the history behind Mount St. Gabriel’s and her years as a student there. During the early 1950’s, now head mistress, Mother Ravenel, also relives one pivotal night, trying to reconcile the past and the present. It is the fall of 1951 at Mount St. Gabriel’s, an all-girls school tucked away in the mountains of North Carolina. Tildy Stratton, the undisputed queen bee of her class, befriends Chloe Starnes, a new student recently orphaned by the untimely and mysterious death of her mother. Their friendship fills a void for both of the girls but also sets in motion a chain of events that will profoundly affect the course of many lives, including the girls’ young teacher and the school’s matriarch, Mother Suzanne Ravenel. She reaches back even further to her own senior year at the school, where the roots of a tragedy are buried. The last half of the book fills in the gaps that you wonder about in the first part of the story. There is much foreshadowing in the book! The crux of the story was we all make our own judgments’. We thought Tildy, to compensate for her trouble with reading; she had to say, “I’m smart,” by manipulating other girls. Some girls are just natural born leaders which Tildy was. This led our discussion towards looking back at our own high school days. We talked about “those who shall remain nameless,” the girls who were leaders in good ways and those girls who were leaders in bad ways. Unfinished Desires nailed the adolescent angst on the head! There is one part in the book with Tildy and Chloe. Chloe is drawing a portrait for the bulletin board of the entire class. Chloe drew all of the girls as she saw them – the importance of each one of them. Tildy just pointed out the flaws of each and every girl to Chloe. Tildy explained some of the girls were “the backdrop” meaning they were very important girls. We all agreed Tildy was exactly like her mother, Cornelia! Another quote we discussed in depth was: “Scrape the cauldron for more evil snacks” which meant to us, go as low as you could go and find the dirt on others. All I could picture in my head each time Mother Ravenal spoke was Rosalind Russell when she played, in the movie, The Trouble with Angels, also starring Haley Mills! A couple others thought Mother Ravenal reminded them of Meryl Streep. Mother Ravenal’s wise saying at the end of every “Moral Guidance for Modern Girls” lecture: “Remember, girls: you are a work in progress!” Aren’t we all?! 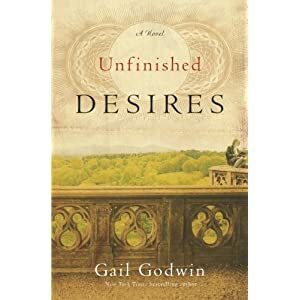 Consider, Unfinished Desires, by Gail Godwin next for your book club!